I’m hoping someone else will find this as exciting as I do. 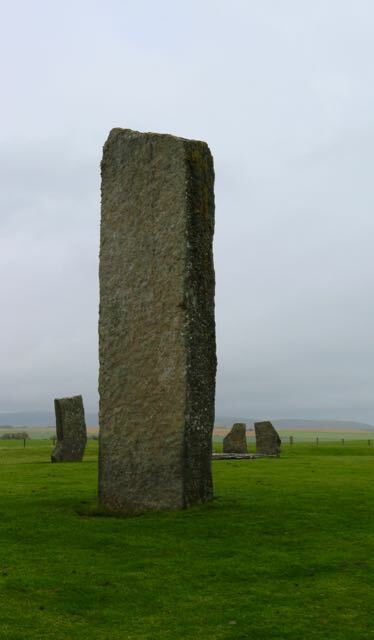 This summer we visited Scotland and I made sure to stop at all the archaeological sites until my family rebelled. This was the best moment for me. 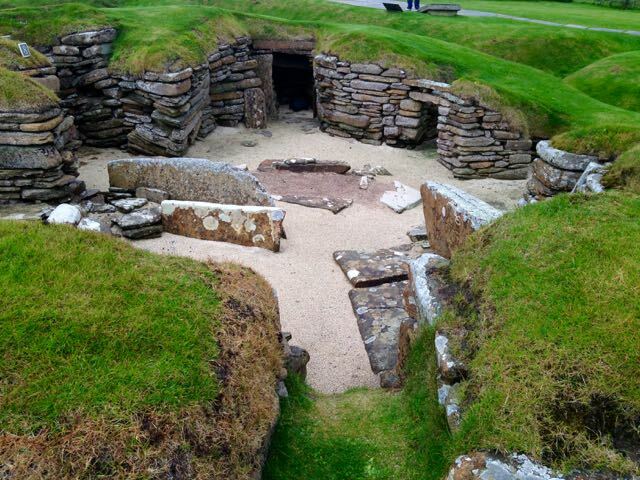 Skara Brae is a neolithic settlement of semi-subterranean earth-houses on Orkney. There are up to 8 dwellings and a workshop here, all connected with underground passages. Back in 1992 I was informed that my observation that the crannoga of Switzerland sounded a lot like the Lake Town from the Hobbit was not just a coincidence. 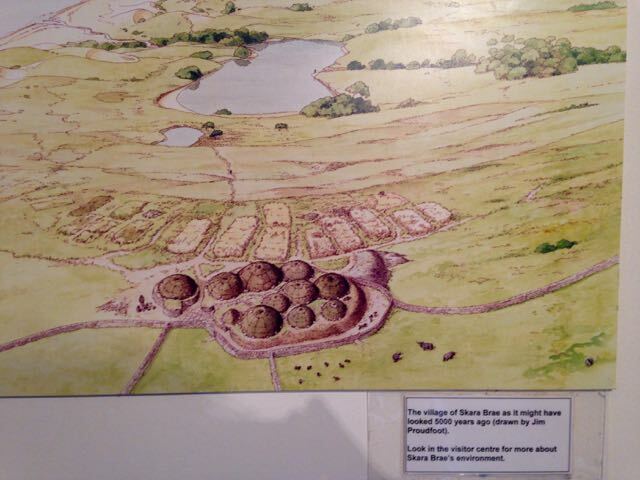 Thus, I was pleased to discover this hobbit-village-looking illustration in Skara Brae. The illustration isn’t the best part. Look at the artists name! (If you can’t make it out – the artist is Jim Proudfoot). That’s the hobbitiest hobbit name ever. 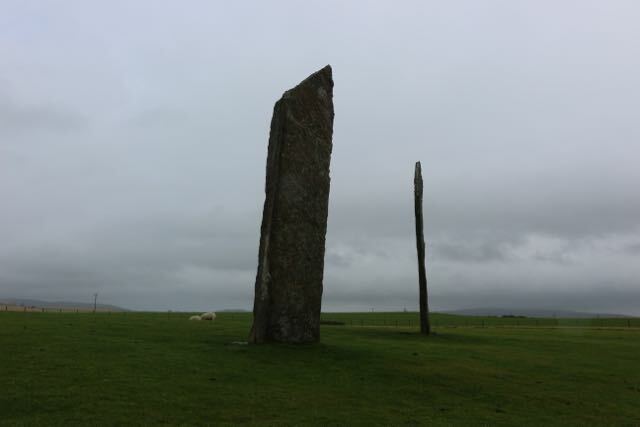 A few miles from Skara Brae there are multiple other Neolithic sites including the Ring of Brodgar, the Standing Stones of Stenness, and a chambered cairn. 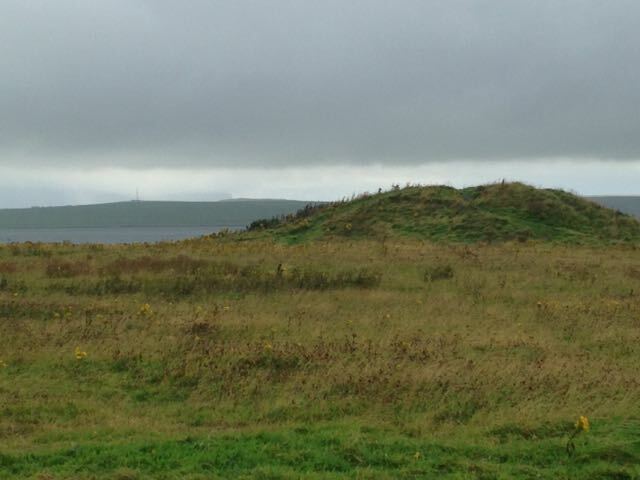 The Ring is surrounded by barrows, so that we left Skara Brae, and seemed to travel a few miles to the barrow downs described by Tom Bombadil. 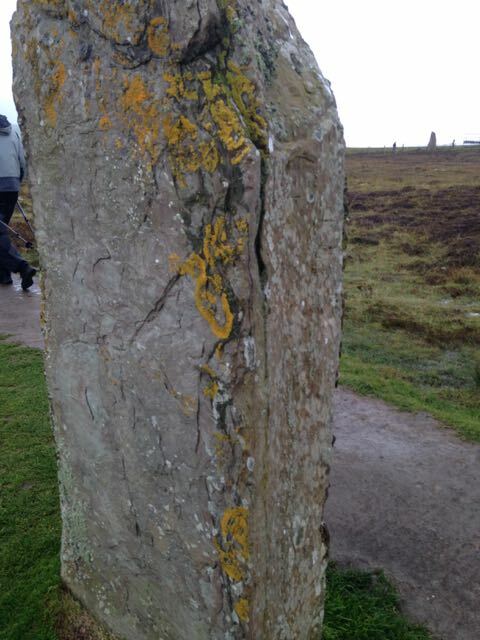 The bus driver warned us to walk counterclockwise around the stones or else you’d get pregnant (not eaten by wights, but I have my suspicions). This is exactly what it looks like before the wights get you. Conspicuously missing: menacing forest and hobbit-eating willow tree. There are almost no trees on Orkney. I, for one, think this is very cool!